Damon Denton graduated from the Juilliard School in New York City with a M.M. as piano faculty assistant to renowned Russian pianist Mme. Oxana Yablonskaya. Prior to Juilliard, he received his B.M. from the Peabody Conservatory of Johns Hopkins University. A CD recording of Shostakovich Piano Concerto No. 1 with Fred Mills, trumpet, and the ARCO Chamber Orchestra, is presently out on the Phoenix label. Solo performance highlights include concerts at Lincoln Center's Alice Tully Hall, Carnegie Hall's Weill Recital Hall, University of South Africa at Pretoria, Leighton House Museum, London, The Arlington Theatre, and The United Nations in New York City, among others. 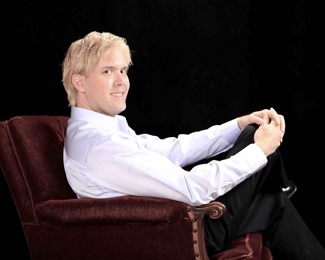 Damon is a guest artist and resident accompanist at the University of Georgia, and pianist for coloratura soprano, Jeanine Thames, worldwide. To his great pleasure, he was also collaborative studio pianist and personal friend of the great international opera star, Anna Moffo, in New York City. He recently performed in Kauai and Capetown, South Africa, where his CD is in rotation on national radio. A native Athenian, Laura Boyd began playing violin at the age of four, and soon became the youngest member of the Athens Symphony Orchestra. She won the Georgia Solo Artist Competition, and was a national finalist in the American String Teachers Association Solo Competition. Laura was a guest performer for the Georgia Music Educators Association and was involved with the Presidential Scholars in the Arts program, sponsored by the National Foundation for Advancement in the Arts. Laura attended Winthrop University on a music scholarship and graduated from the University of Georgia. She further studied in Japan at the Suzuki Talent Education Institute, and in Norway, focusing on violin performance and pedagogy at the International Workshop. 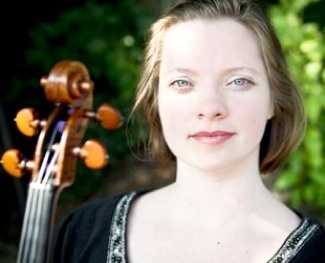 Laura continues to study at the Gardner Violin Academy and maintains a private violin studio. A strong supporter of the arts in our community, Laura was a charter member of the Oconee Cultural Arts Foundation and has provided music for a wide range of local events. A recent bride herself, she particularly enjoys performing at weddings, receptions, and elegant events. Jared Hunt began playing the trumpet at age ten in his hometown of Gainesville, GA. He graduated from the University of Georgia with a degree in Music Education and a focus in trumpet performance, and studied with renowned trumpeter Fred Mills for four years. 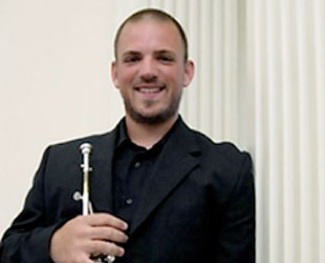 Jared is currently earning his Masters degree under Ray Sasaki, who is an active recitalist and clinician, a member of the St. Louis Brass Quintet and Tone Road Ramblers, and professor of trumpet at the University of Texas. Jared has performed with multiple groups at the University of Georgia, including the UGA Wind Ensemble, the UGA Symphony Orchestra, and the Georgia Brass. He was a Battle Hymn soloist for four years with the Redcoat Marching Band. In addition, Jared has performed with the Athens band Venice is Sinking and has been an active wedding performer throughout Georgia and Alabama. With the UGA Wind Ensemble, Jared recorded the CD Millennium Canons, which was released under the Naxos label. He can also be heard on the praise and worship CD Fully Devoted.